This is a small traditional cache in a plastic container with a snap-on lid. This one is mainly intended for children. 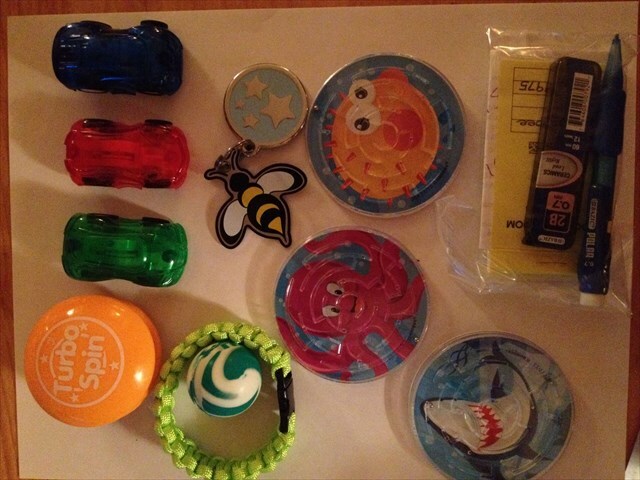 It contains little toys but also a trackable honeybee (even though it looks like a hornet) attached to a light blue pet ID tag with silver stars. The two are meant to travel together. So for the FTF, I put in a $5 bill. Happy! Happy! Joy! Joy! "The Honeybee" cache is a tribute to my infant son. "Honeybee" is my little term of endearment for him. He brings so much joy to our lives! He introduced us to a whole new kind of love we've never known before. He is such an amazing gift! Now I know my purpose in life is to be the best mother I can be to him. He is our little miracle! Furygrerq orarngu n gerr'f ebbgf. 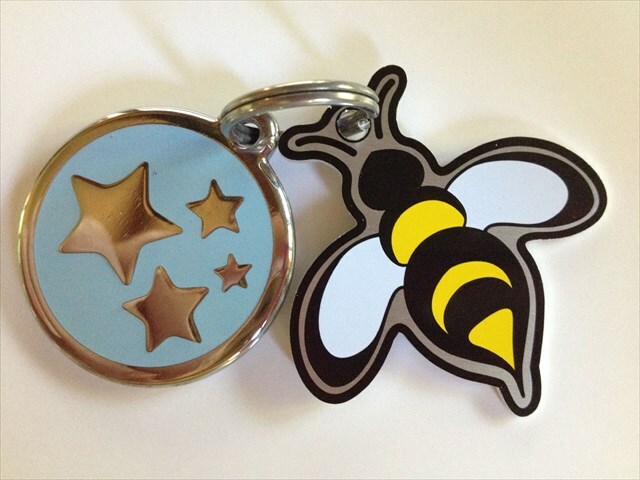 'The Honeybee" trackable and accompanying ID tag.The Honeybee trackable and accompanying ID tag are meant to travel TOGETHER! Please do not separate them.